Professor of the Latvia University of Life Sciences and Technologies, Vice-rector of studies, Dr. sc. ing. Aigars Laizāns has considerable experience in research, as well as managing large international research projects and business experience at the top managerial positions. Particular interest in the research is related to the renewable energy applications, bioresurses use in energy production, energy efficiency issues, as well as in automation and control of technological processes. Recent research activities are related to the electric transport, especially to the wireless energy transfer to the electric cars, and hydrogen use in transport systems. Dr. A.Laizans’ experience and skills are being used by authorities of Latvia and other EU countries for scientific and commercial projects evaluation and expertise. Currently three doctoral students are supervised by professor. A. Laizāns. He is the author of more than 30 scientific publications, supervised more than 60 bachelor thesis development and more than 30 master of engineering and master of business management thesis preparation. 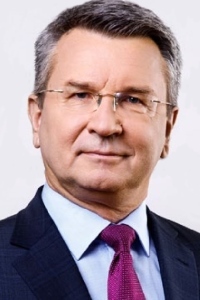 Member of IEEE, member of Latvia Academy of Agriculture and Forestry Sciences, member of Latvia Association of Electrical energetics and Energy builders.